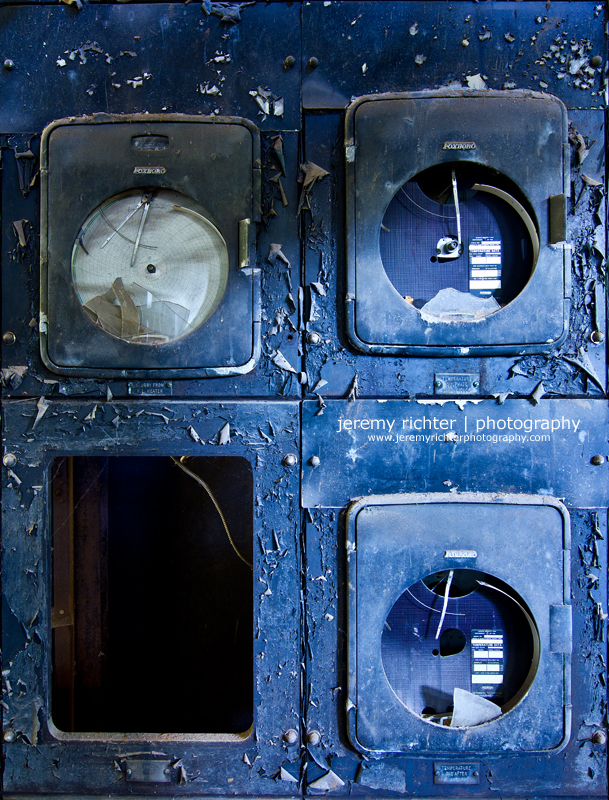 Meter Panels at Republic Steel's East Thomas Plant in Birmingham, Alabama, on the premises of Wade Sand and Gravel. 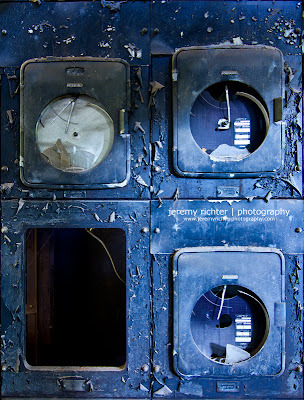 It's impossible to know what the function of this panel of meters once was while Republic Steel was still in operation. But now it sits defunct and destroyed in near darkness, alone, missing the daily bustle that formerly encompassed its steady operation. The broken glass and chipping paint are constant reminders of the grand industrial past that is Birmingham's, iron and steel titan of the South. The ruins of the factors lie around the city like so mine dinosaur skeletons, scoured and scavenged. The meat was long ago picked away; all that is left is the bones.